J.Assy Agricultural specializes in technology solutions for agribusiness. They are one of Brazil’s largest investors in R & D in this industry. The preparations for the AEF Plugfest in spring, which will take place from 7 to 9 May in Lincoln, Nebraska, USA, are already in full swing. International agricultural equipment manufacturers and associations established the AEF (Agricultural Industry Electronics Foundation) as an independent, international organisation. As a user platform, it provides resources and know-how for the increased use of electronic and electrical systems in farming. These days, smartphones and their increasing use to access mobile services is something that we cannot escape. The rapid increase in app usage is an impressive illustration of the importance mobile applications now have in the everyday activities of the modern Internet user. 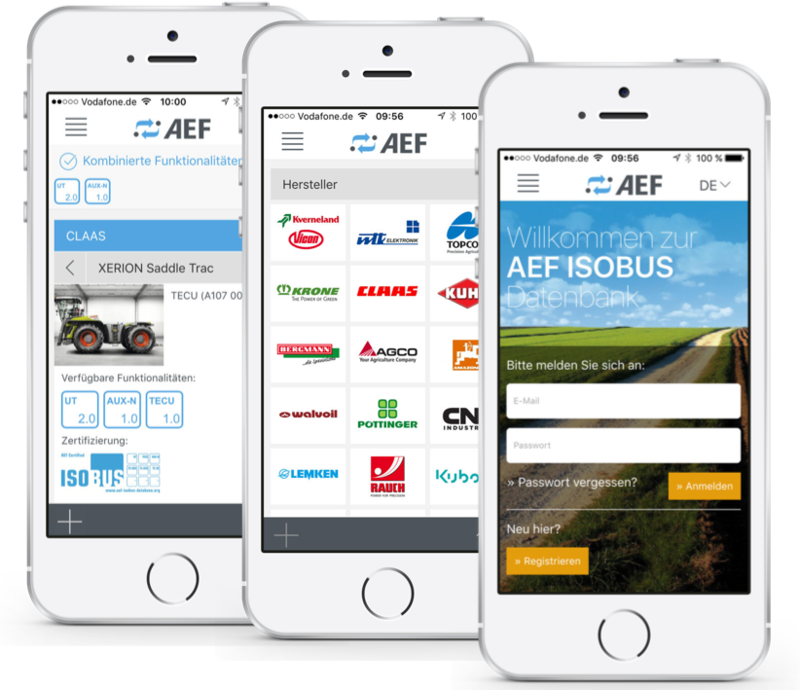 The AEF ISOBUS Database is download free of charge from the App Store (iOS) or the Google Play Store (Android).